black|Up is making the colour correcting trend accessible to everyone. 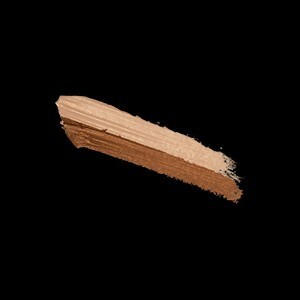 A pro make-up technique that consists of correcting your skin tone using opposite colours. 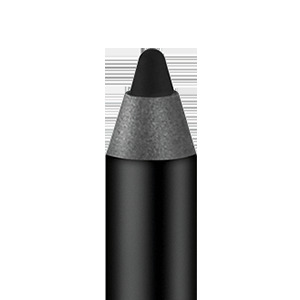 Developed specifically for coloured skin, this pencil is composed of a corrective magic colour on one end and a skin tone shade on the other end. The yellow, orange and red pigments of the corrective colour have been perfectly selected to neutralise the darkest imperfections (dark circles, small pimples, scars, and pigmentation spots). The skin colour enables graduating the colours to even out skin tone. 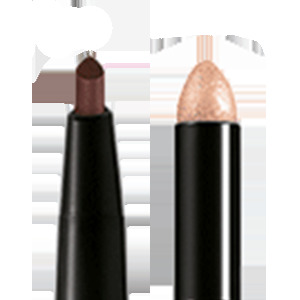 Its ultra-pigmented cream formula blends perfectly with your skin while its convenient 2-in-1 format allows for precise, easy, and fast application. 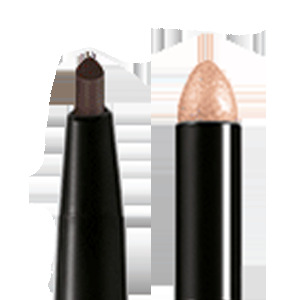 STEP 1 Apply the magic & corrective colour directly to the aws you want to correct (dark circles, small pimples, scars, etc.). STEP 2 Then apply the skin tone shade. Blend to even out your complexion. Repeat until you obtain the desired effect. Ricinus Communis (Castor) Seed Oil (Ricinus Communis Oil), Ethylhexyl Palmitate, Mica, Euphorbia Cerifera (Candelilla) Wax (Candelilla Cera), Nylon-12, Octyldodecanol, Bis-Diglyceryl Polyacyladipate-2, Copernicia Cerifera (Carnauba) Wax (Copernicia Cerifera Cera), Caprylic/Capric Triglyceride, Simmondsia Chinensis (Jojoba) Seed Oil (Simmondsia Chinensis Seed Oil), Cetyl Alcohol, Beeswax (Cera Alba), Talc, Calcium Sulfate, Montmorillonite, Tocopherol, Ascorbyl Palmitate, Wheat Germ Glycerides. (+/-) May Contain : Iron Oxides (CI 77491), Iron Oxides (CI 77492), Iron Oxides (CI 77499), Yellow 6 Lake (CI 15985), Yellow 5 Lake (CI 19140), Red 7 Lake (CI 15850).